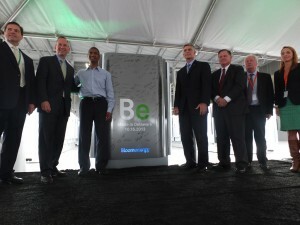 (Newark, DE) – Bloom Energy officially celebrated its new manufacturing center in Newark and says it will be hiring more than 100 new workers in the coming months in jobs ranging from welders to production control technicians to electric/electronic engineers. Bloom Boxes use revolutionary solid oxide fuel cell technology that converts fuel to electricity using an electrochemical reaction, rather than combustion, allowing customers to reduce their carbon footprint while cutting operating costs. At today’s event, JPMorgan Chase announced it will be Bloom’s newest commercial customer in Delaware. 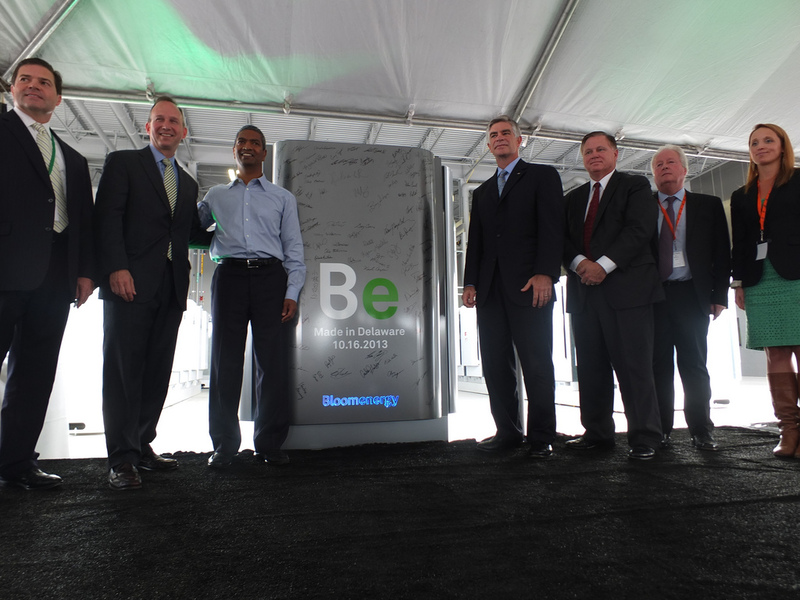 JPMorgan Chase announced that it will soon pilot an 500 kW installation of Bloom boxes powering its Morgan Christiana site that will support power to its data centers. 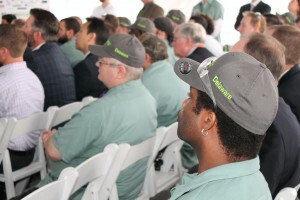 Bloom announced its plans to build its new, high-tech manufacturing center in Delaware in 2011 and broke ground on its facility in Newark in April 2012 which is located on the site of the former Chrysler plant in Newark. Bloom’s customers include WalMart, which endorsed its growing partnership with Bloom during today’s event, as well as Google, Apple, Bank of America, FedEx, Co a-Cola, Staples, A-t-and-T, Verizon and E-Bay. Walmart first installed Bloom systems in 2009 and is one of Bloom’s largest customers. Bloom began shipping Bloom boxes from the Center this summer and currently has approximately 80 people working at the new manufacturing center and has more than 70 jobs posted for immediate hiring. Photos from the event are available on Flickr.